The reconciliation pact, intended to repair a fierce seven-year rift between Hamas and Mr. Abbas’s Fatah faction and to reunite the Palestinian geographic territories under one rule, prompted Israel to halt the stalemated American-brokered peace negotiations on April 24. Now the focus turns to whether the new government can deliver overdue Palestinian elections after six months as promised — and, in the shorter term, whether it can persuade Egypt to reopen Gaza’s southern Rafah crossing and address the fuel shortages and skyrocketing unemployment that have plagued the coastal strip for months. JERUSALEM — Prime Minister Benjamin Netanyahu of Israel called on the international community on Sunday “not to run to recognize” the new Palestinian government scheduled to be sworn in Monday, saying it “rests on Hamas,” the militant Islamic faction that Israel and much of the West deem a terrorist organization. President Mahmoud Abbas of the Palestinian Authority has insisted that while the new government is the fruit of a reconciliation pactthat his Palestine Liberation Organization signed six weeks ago with Hamas, the government will be made up of ministers who are not tied to political factions. He told Secretary of State John Kerry in a telephone call Sunday that it would “represent the political agenda of the president,” according to WAFA, the official Palestinian news agency, meaning it would recognize Israel and renounce violence — as Hamas refuses to do. Separately, the Israeli Air Force struck two targets in Gaza early Monday morning, in what it called a response to two rockets fired from there in the past two days. There were no immediate reports of casualties. And there may yet be disputes to resolve. Sami Abu Zuhri, a Hamas spokesman, issued a statement early Monday morning warning that the faction does not “accept the declaration of the government Monday” if, as reported in the local news media, it would not include a ministry for prisoner affairs, transferring that responsibility to the P.L.O. Earlier on Sunday, Hamas officials had said that the ministers who had formed a shadow government in Gaza would immediately return to their posts within the political party or as university professors; Ismail Haniya, the Hamas prime minister, will be known simply as “deputy leader” of the movement. The fate of more than 100,000 public-sector workers, generally two for every job, remains unclear. Similarly, uncertainty exists about the duplicate services, such as the two checkpoints — one run by Hamas and one by the Palestinian Authority — at the Erez crossing into Israel. Among the other critical questions is how the new government will be regarded by Washington and the West. The United States is scheduled to provide $440 million to the Palestinian Authority this year, but it is barred from funding any “government that includes Hamas as a member, or that results from an agreement with Hamas and over which Hamas exercises ‘undue influence,’ ” according to theCongressional Research Service, unless the president provides a waiver. The State Department — like the European Union — has indicated openness to dealing with the new government so long as it follows Mr. Abbas’s line. Jen Psaki, a State Department spokeswoman, said Mr. Kerry had expressed concern to Mr. Abbas in their phone conversation Sunday about Hamas’s role. “The secretary stated that the United States would monitor the situation closely and judge any government based on its composition, policies and actions,” Ms. Psaki said. Though Israel has taken a hard line against the new government, it must strike a delicate balance, since the withdrawal of international aid could lead to a collapse of the Palestinian Authority. That would leave Israel responsible for the Palestinians’ education, health care and economy. So far, the sanctions have been symbolic. Israel withheld some $6 million of the approximately $160 million in monthly taxes it collects on the Palestinians’ behalf after the reconciliation pact was signed. It declared that Israeli officials would no longer meet their Palestinian counterparts, but such tasks were simply transferred from individual ministries to the Civil Administration, which handles relations with the West Bank, according to the agency’s spokesman, Guy Inbar. “No project is delayed or canceled,” said Mr. Inbar, noting that there had recently been joint meetings to discuss tourism and telecommunications. Fares Akram contributed reporting from Gaza, Said Ghazali from Jerusalem, and Michael R. Gordon from Washington. 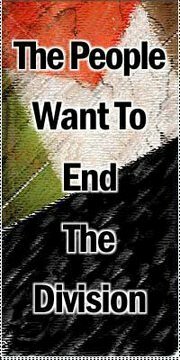 WHAT AWAITS PALESTINE IN 2012? The Palestinian leadership, including Fatah and Hamas, must get its act together in 2012 and make sure it is not going to be another year of futile waiting. 2011 was not a particularly bad year for Palestine. In this year, hundreds of Palestinian political and resistance prisoners were able to see the light, having been released from Israeli dungeons and detention camps. Needless to say, many of these heroes would have spent the rest of their lives in Zionist jails, had it not been for the so-called Shalit deal and Israel’s effective capitulation to Hamas’s conditions for the release of the captive Zionist soldier. Thanks to the deal, hundreds of Palestinian families, which had lost the hope for ever seeing their beloved ones alive again, breathed a sigh of relief as they were reunited with their children, brothers, husbands and daughters. Needless to say, Israel had tried every conceivable effort and intelligence act to locate the captive soldier, but to no avail. After all, Shalit was held under Israel’s nose somewhere in the Gaza Strip for more than 60 months. This fact alone should make us look with admiration and gratitude to those unknown but heroic soldiers who were able to keep this valuable secret all these months and years. 2011 brought us the Arab Spring, which consigned several tyrannical pro-American regimes to the dustbin of history. Some of these regimes, such as that of ex-president Husni Mubarak of Egypt , had been a serious liability for the Palestinian struggle and steadfastness. For example, in 2008-09, the Egyptian regime colluded, connived and collaborated with the Zionist entity to murder, torment and vanquish the Gaza Strip, enabling Israel to carry out its Nazi-like onslaught on the virtually unprotected coastal territory, killing, incinerating and maiming thousands of Palestinians men, women and children. More to the point, the regime sought effectively to consolidate the criminal Israeli siege on Gaza, by building another concrete wall to make it virtually impossible for Gazans to smuggle even a pack of milk from the Egyptian side of the borders to their starving children on the other side. Hence, the removal of that regime is considered a great victory for both the Egyptian and Palestinian peoples, for the Egyptians because the corrupt Mubarak regime suppressed human rights and civil liberties in deference to Israeli and American interests, and for the Palestinians because the regime was viewed as a strategic asset for the Zionist regime since it allowed the Zionist entity to savage the Palestinians in exchange for American aid and political protection. The elections that occurred in Tunisia and Egypt were also auspicious news for the Palestinian cause. The triumph of Islamic or quasi-Islamic parties, especially the Muslim Brotherhood, is probably some of the best news the Palestinian cause and people have received in many decades. True, we don’t expect to see miracles very soon as a result of the Arab Spring. However, there is no doubt that the strategic changes taking place in the Arab world have confused and unsettled Israel’s strategic calculations in the region. Israel, which is becoming a fully-fledged fascist state, had probably planned to embark on unthinkable measures against the Palestinians, possibly including genocidal massacres, induced emigration and ethnic cleansing. However, thanks to the Arab Spring, especially the Egyptian revolution, Israel is very likely to think twice before pursuing its lebensraum policy against its neighbors. The end of 2011 also brought the Palestinian people much closer to national reconciliation and unity. Hamas agreed to join the PLO and all the sides agreed to form a government of national unity, release political prisoners and hold elections for the Palestinian Authority (PA) as well as for the Palestinian National Council. What is especially important is that the psychology of the Palestinian people improved significantly during 2011 despite unrelenting Zionist aggressions and provocations. None the less, there is much to be done in 2012. The National reconciliation must materialize on the ground and ordinary Palestinians must feel its tangible effects. However, It is probably unlikely that true national unity between Fatah and Hamas will be achievable unless the PA and the Ramallah regime end the ignominious cooperation and coordination with the Zionist occupation army. Indeed, the security coordination has been a sad chapter in recent Palestinian history and it must be ended sooner than later. Moreover, with the unmitigated theft of Palestinian land continuing at the hands of the Zionist regime, the PA should have the courage to declare the end of the mendacious peace process. Yes, dismantling the PA infrastructure may not seem easily done as said. However, if it becomes clear that the existence of the PA militates against and hinders the establishment of a viable and territorially contiguous Palestinian state, then Palestinian leaders must not flinch from embarking on dissolving the PA. After all the establishment of an independent Palestinian state is the raison d’etre of the PA itself, as PA official Sa’eb Erikat said on several occasions. In any case, the Palestinian leadership should stop playing games with the fate and destiny of the Palestinian people and cause. 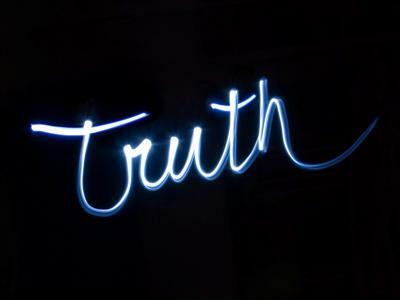 We have indulged in futile political games too much and for too long, and must therefore come to the hour of truth. And reaching the hour of truth should also mean a realization that the creation of a viable Palestinian state on the West Bank, one with Jerusalem as its capital, is no longer a realistic option given the phenomenal spread of Jewish colonies. Hence, the Palestinian leadership, including Fatah and Hamas, must get its act together in 2012 and make sure it is not going to be another year of futile waiting. Palestinians across the West Bank and Gaza celebrated the return of their loved ones last Sunday as the final wave of prisoners were released in an exchange between Hamas and Israel. However, one prisoner was notably absent. Marwan Barghouti, the jailed Fatah leader known by many Palestinians as the “prince of resistance”, remains behind bars in Israel despite promises from the Palestinian leadership that his freedom would be secured through the exchange of captive Israeli soldier Gilad Shalit. On the eve of the prisoner swap, Barghouti released a 255-page book, written secretly behind bars and smuggled out via lawyers and family members, detailing his experience in Israeli jails. Barghouti is a figure of towering reverence among Palestinians and even some Israelis, regardless of political persuasion. Yet, he was reluctant to begin a life in the political spotlight. In fact, the Israeli occupation came to him, his long-time friend Sa’ad Nimer noted during a long conversation in a dank Ramallah coffee shop. When Barghouti was just 15, living in the small village of Kober just outside Ramallah, Israeli soldiers shot his beloved dog during a military sweep of the village. From that moment on, Nimer said in a haze of nostalgia, the occupation was a personal issue for Barghouti. A natural leader with admirable charisma and an unwavering hatred of Israeli occupation, Barghouti has been an active political leader since the early 1980s. At age 18, during one of his early stints in an Israeli prison for political organising, he was elected the prisoner representative, a task which required him to unify competing political affiliations of prisoners and negotiate with Israeli authorities. The appointment foreshadowed a long career of uniting Palestinians regardless of political agenda. Despite his vocal support for the two-state solution and attempts at reconciliation with Israeli civil society, Barghouti has remained a puzzling and aggressive figure for Israel. “When Marwan got out of jail the second time [in 1982 at age 23], the Israelis did not know what to do with him,” said Nimer, who is the director of the Free Marwan Baghouti Campaign based in Ramallah. In the early 1980s, Barghouti was a primary organiser in the Shabibia movement, a Fatah-based student group that campaigned for better education standards in Palestine. The movement, still active in the West Bank, was a primary organising vehicle of the First Intifada. While not overtly against the occupation, Barghouti’s early political activity was understood by Israel as a threat and he was deported to Jordan under extraordinary circumstances. According to Nimer, “Jordan was not taking deportees at the time, so the Israelis just put him on a helicopter and dropped him into the middle of the Jordanian desert, desperate to get rid of him”. From Jordan, Barghouti helped organise the First Intifada, relaying messages and tactics to Palestinians, mostly aligned with Shabibia, in the West Bank. After the signing of the Oslo peace accords in 1994 he returned to the West Bank as a member of the Palestinian Legislative Council (PLC), the parliament of the Palestinian Authority, and embraced the peace process wholeheartedly. During his time as a PLC member, he maintained a tough stance on corruption inside Palestinian politics and won himself many enemies in the upper echelons of power in the West Bank and Gaza. Unlike many of his colleagues in the PLC, Barghouti was never appointed to public office and derived his political capital directly from the people who consistently provided him with strong electoral results. When Oslo collapsed and the Second Intifada engulfed Israel and the Palestinian territories in violence, Barghouti embraced armed resistance. He assumed a leadership position in Fatah’s armed wing, coordinating attacks against the Israeli military in the West Bank and Israeli civilians in Tel Aviv. It is for these activities that Israelis understand Barghouti as a terrorist leader. His friends and colleagues maintain that his support of armed resistance as a vehicle to achieving an end to occupation was in line with the popular sentiments expressed on the street at the time. Barghouti was arrested by Israeli forces conducting sweeps in Ramallah in April 2002 while he was a sitting member of the Palestinian Legislative Council. He was quickly transferred to Israel for trial in a civilian court on multiple counts of murder including authorising and organising an attack in Tel Aviv in which many civilians were killed, attempted murder and membership in a terrorist organisation. Citing the illegitimacy of the Israeli legal system over occupied Palestinians, Barghouti refused to accept the charges or stage a defence in the Tel Aviv court. During the drawn out proceedings, he delivered impassioned and researched speeches arguing that the court and the practices of the Israeli military in the West Bank were illegal under international law. He never recognised the authority of the Israeli court system from his first statement to the judge in which he proclaimed, “I am a political leader, a member of the Palestinian Legislative Council, elected by my people. Israel has no right to try me, to accuse me, judge me. This is a violation of international law. I have a right to resist occupation.” Dismissing the allegation, Israel charged him with five life sentences for murdering Israelis and 40 years imprisonment for attempted murder, which he is currently serving. Since his conviction, Barghouti has done what he knows best; actively campaigning for the reunification of Palestinian political factions. After the 2006 Hamas-Fatah split, which resulted in bloody infighting among the factions, Barghouti organised a prisoners’ campaign with members of Hamas, Fatah as well as PFLP and DFLP that called for immediate reunification. According to those close to him, like Fares, his work on Palestinian unity is a reason why so many Palestinian politicians are afraid of his freedom and a possible reason why he was left out of the recent prisoner swap. If there is one experience that has the potential to unify the Palestinian people, it is the experience of being a prisoner in an Israeli military jail. Barghouti’s new book, One Thousand Nights in Solitude, is, at its core, a book about dealing with the Israeli prison system as a Palestinian. Reading like an instruction manual for coping with the experiences of interrogation and prolonged detainment, the book breaks new ground in the underreported subject of Israel’s treatment of Palestinian political prisoners. Israel’s military court system has processed roughly 750,000 Palestinians according to the Red Crescent, but exact numbers are hard to obtain. In fact, any sort of exact information about Israel’s military jail system is difficult to find given its role as one of the primary Israeli mechanisms of controlling Palestinian dissent and nascent resistance to the occupation. According to a recent expose by the Israeli liberal daily Haaretz, military courts have an astonishingly high conviction rate of 99.74 per cent. Many Palestinian defendants are put through a programme of psychological and physical torture that often results in coerced testimonies necessary in the maintenance of a high conviction rate. Haaretz has also released reports seemingly confirming the widespread belief that torture is widely used and that Israeli military judges are often aware that information used in tribunals is obtained through psychological and physical torture. Kept in solitary confinement for an extended period and put through various periods of psychological and even physical torture, Barghouti’s book details the tenacity required to not wilt under such difficult conditions. In the first chapter, he describes in verbose language how Israel used various interrogators to coerce information out of him regarding senior Fatah leaders in the West Bank. This common procedure was extremely tough on Barghouti since, in the words of Sa’ad Nimer, “they wanted information tying Yasser Arafat to terrorism and they never got it from Marwan”. Following a political career best understood as leading by example, Barghouti sets out to demonstrate how Palestinians can achieve a meaningful non-violent resistance against the military court system. In addition to the practical information of surviving within the Israeli prison system, he details his arguments for Palestinian political unity as a means of resistance to Israeli occupation. The book devotes great detail to his three years housed in a tiny cell (measuring one by 1.5 metres) in solitary confinement. It is from this experience that the title, One Thousand Nights in Solitude was born. Sitting under the ubiquitous photo of her husband surrounded by Israeli prison guards with handcuffed hands held high, she glowingly reports that he is using his time in prison to enrich himself intellectually. He is a ferocious reader, consuming books in English, Arabic, Hebrew and French on topics ranging from French colonial rule in Algeria to the latest biographies of the former US president Bill Clinton and Margaret Thatcher, the former British prime minister. He also has a deep respect for the work of Paulo Coehlo and the Israeli philosopher Yeshayahu Liebowitz. Additionally, Barghouti has written two books and completed his PhD from the University of Cairo entitled, The Legislative and Political Performance of the Palestinian Legislative Council and its Contribution to the Democratic Process in Palestine from 1996 to 2008. His doctorate, like the recent book, was smuggled out of jail one page at a time and took years to complete. In addition to maintaining public and international pressure on Palestinian and Israeli leaders for the release of her husband, Fadwa has had to raise her family without a father. One of their three sons is now living in the United Kingdom while completing his higher education. His other two sons and one daughter live in the West Bank and are known in Ramallah for their active social lives and lack of interest in Palestinian national politics. Fadwa’s dedication to her husband is demonstrated in the romantic language used to describe his meaning to the Palestinian people. Palestinians are exhausted from the emotional and physical toll of the Second Intifada. Most express dismay at the infighting that has plagued the political establishment since the 2006 fallout between Hamas and Fatah but offer little solution for dealing with it. There is also a sense that the political establishment is no longer working in the interests of the people despite the highly popular attempt to achieve statehood recognition at the United Nations earlier this year, which Barghouti supported from jail. “I think what is needed now from the leadership is to have honesty and self-reflection. In a way, this is one of the strengths of Marwan Barghouti in that he is honest with Palestinians. He doesn’t b******* us. We are sick and tired of Palestinian leaders who [do],” said Majd Abdel Hamid, who is part of the March 15th youth movement that demanded reconciliation of political factions earlier this year after the revolutions in Egypt and Tunisia reshaped the Middle East. He does not support any Palestinian political party, like many in the March 15th movement, but believes that Barghouti has the power to open a new chapter in the Palestinian national struggle if only he is released from jail. Dancing around the subject of the recent prisoner swap, Fadwa Barghouti remains confident that the current political leadership is afraid of a free Barghouti. For five years she was told by Fatah and Hamas leaders that her husband’s freedom would come in the form of the captive Israeli soldier Gilad Shalit. But, at the last minute, a month before the controversial deal between Hamas and Israel was signed in Egypt, Barghouti, along with nine other senior political prisoners, were dropped from this list. Indeed, Marwan Barghouti is often cited as a potential replacement for Palestinian Authority President Mahmoud Abbas. Barghouti along with Kadoura Fares and Mohammad Dahlan threatened to begin an independent party called Al-Mustaqbal (The Future) in 2005 after Abbas offered Barghouti second place in Fatah despite clear indications that Barghouti would win national election. Ultimately, according to Fares, Barghouti felt that a second party would harm Palestinian unity and ran on the Fatah party ticket, securing a seat in the PLC as a Fatah member. Due to the belief that Barghouti would be part of the recent prisoner swap, the grassroots movement to free him has lost momentum in recent years. But, according to Fadwa Barghouti, things have changed and with the release of his new book there are renewed efforts to pressure the Palestinian leadership to negotiate his release. The Free Marwan Barghouti campaign is planning to stage several demonstrations in March under the banner that Palestinians refuse negotiations with Israel without a free Barghouti to lead them. Whenever discussions arise about Marwan Barghouti in Israel or Palestine, one name is unavoidable: Nelson Mandela. In the 1990s, dovish Israeli politicians and political thinkers such as Uri Avenry began calling Barghouti Palestine’s Mandela. The comparison is not without merit: both leaders have refused to swear off armed resistance, both have spent long periods of time in jail, unwilling to cooperate with authorities, and both have enjoyed a unique loyalty from their people that has transcended political affiliations. Israeli society will continue to see Barghouti as a symbol of the violent Second Intifada, but after his inevitable release, they will likely be seeing him sitting at a negotiations table working to end the conflict and dismantle the Israeli occupation. While applauding the fact that Shalit is now home with his family, a picture of gloom is painted regarding the Palestinian prisoners that were released in yesterday’s swap. In today’s editorial, the New York Times makes it clear what their position on Israel is, basically, the hell with Palestine. Their concern for Abbas and his ilk and total negation of the FACT that Hamas was the Party elected by the Palestinian people shows a total disregard for the hopes and aspirations of those people … Now that Prime Minister Benjamin Netanyahu of Israel has compromised with Hamas, we fear that to prove his toughness he will be even less willing to make the necessary compromises to restart negotiations. And we fear that the Palestinian president, Mahmoud Abbas, and his Fatah faction, who were cut out of the swap altogether, will be further weakened. 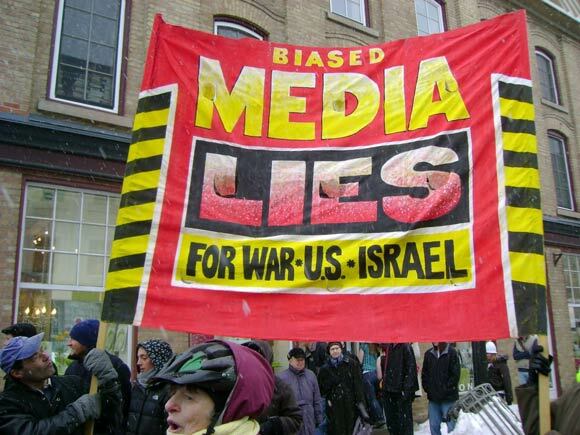 Perhaps the time has come for the New York Times and other pro zionist news outlets to reexamine the situation and present the facts, rather than their distorted opinions and lies. We share the joy of Israelis over the release of Sgt. First Class Gilad Shalit, who was held by Hamas for five years. We will leave it to the Israeli people to debate whether the deal — which includes the release of more than 1,000 Palestinian prisoners — will make their country safer or lead to more violence or more abductions of Israeli soldiers or other citizens. We are already concerned that the deal will further thwart an Israeli-Palestinian peace agreement, the only real guarantee of lasting security for both sides. Both Mr. Netanyahu and Hamas were looking for a political win after Mr. Abbas grabbed the international spotlight — and saw his popularity soar — when he asked the United Nations last month to grant his undefined country full membership. Mr. Netanyahu twisted himself in an ideological knot to get this deal. Only five months ago, he wanted to cut off tax remittances to the Palestinian Authority and urged the United States to halt aid because Mr. Abbas tried to forge a unity government with Hamas, which controls Gaza. One has to ask: If Mr. Netanyahu can negotiate with Hamas — which shoots rockets at Israel, refuses to recognize Israel’s existence and, on Tuesday, vowed to take even more hostages — why won’t he negotiate seriously with the Palestinian Authority, which Israel relies on to help keep the peace in the West Bank? Mr. Netanyahu’s backers claim that his coalition is so fragile that he can’t make the compromises needed to help revive peace negotiations. But he was strong enough to go against the grief-stricken families of those Israelis killed by the Palestinian prisoners he just freed. “I know that the price is very heavy for you,” he wrote to them. Why can’t he make a similarly impassioned appeal for a settlement freeze for the sake of Israel’s security? The United States and its partners should keep trying to get negotiations going. Mr. Abbas should see the prisoner swap for what it is — a challenge to his authority and credibility. The best way to bolster his standing is by leading his people in the creation of a Palestinian state, through negotiations. As for Mr. Netanyahu, we saw on Tuesday that the problem is not that he can’t compromise and make tough choices. It’s that he won’t. That won’t make Israel safer. IS HAMAS ASSUMING THE ROLE OF THE PALESTINIAN AUTHORITY? good news from Gaza: Abu Yazan got released & he just arrived home after 3 days of illegal arrest by hamas authorities. When Hamas and Fatah supposedly reconciled their differences a few months ago it was hoped that there would be a new breath of Freedom in the Palestinian territories. Instead, we seem to be witnessing more of the same injustices we have seen in the West Bank in Gaza these days. Has Israel finally influenced Hamas to play the role the Palestinian Authority has been playing by serving zion’s interests, rather than those of Palestine? Is this their way of getting Israel’s ‘nod of approval’ to rule when Palestine is a Free State? Yesterday, news spread about arresting a young activist by the local authorities in Gaza. Hamas called him to take his confiscated things (laptop & mobile) then arrested him banning him from contacting his family or lawyer! Yesterday, news spread about arresting a young activist by the local authorities in Gaza. Hamas called him to take his confiscated things (laptop & mobile) then arrested him banning him from contacting his family or lawyer! But how it all started..? Well, Abu Yazan & I were chosen to travel to Paris for a social media program for 5 days! It was coordinated via the French Cultural Center in Gaza. We both study English-French literature, students in the French Center, blog, known social & political activists which make us qualified candidates for this program! But was it enough for Hamas? After the five-day program finished we stayed extra more days in Paris then we left heading to Egypt. Abu Yazan was deported from the Egyptian side to Gaza and humiliated, but I was allowed to get in to Cairo! He got to Gaza, nothing happened. One month later on my way to cross the Palestinian hall in Rafah Crossing to finally get into Gaza that I missed so much, Hamas officers stopped me. They asked where and why was I travelling, I answered them saying that I went to France for some social media program, then to Egypt to meet with my aunts and attend the opening of the revolution movie “18 days” that I was invited to. Then later they knew that Abu Yazan was with me in France. They immediately started to look for more information about him. They interrogated me for more than 2 hours and searched through all of my stuff, clothes, opened presents in a very humiliating way as if I’m a drug dealer! A lot of things were confiscated (digital camera, flip camera, external hard disc, flash and memory cards, ipod, my mobile with the Egyptian, French and the Palestinian sim cards, a notebook, and all of the political magazines and leaflets I had with me! Most of those were mine but some were not, they just didn’t care. That was on Thursday July, 27. I had no contact with my family or a lawyer and when I asked what kind of accusations I might be having to get all of this, they said that it’s none of my business, I have no right to ask and I’ll know next time I get interrogated which was Sunday August the 7th! At the meantime, Abu Yazan received a paper saying he should go to the internal security office for interrogation. We both went there twice after that incident on the border on my way back to Gaza. Abu Yazan & I were waiting for this big, unjustified mess to be over so we can at least blog about it. No one could’ve imagined that he’d be arrested!! We were told that we’ll be no longer interrogated and they’ll call us to get our stuff back. I had no call, but Abu Yazan did and that’s how they arrested him! My dear friend had to listen to their inappropriate accusations of me and him being in a relationship when he told them that we’re classmates, bloggers and activists and that’s how we know each other! And I’ve had to cover my head in order to be interrogated by them. They refused to meet me and give me back my things (that I still don’t have yet) unless I put on a hejab. I told them I don’t have any, so they brought me one, a stinky one! And also they brought a praying mattress to cover my legs. Wooo, wait a minute, no I wasn’t wearing a dress or a mini skirt. Nope, I was wearing trousers, baggy ones! We both had to put with their insults and religious preaches as being liberal and secular for them = an infidel! Abu Yazan is one of the founders of GYBO which produced a rap song “The Mystery” honoring everyone who worked on breaking the blockade on Gaza! This is day two, and no one knows anything about him. I really wanted to blog about my very-first-time-to-get-out-of-Gaza experience, but I couldn’t escape posting about Hamas’s warm welcome for me that has been lasting for more than half a month now. 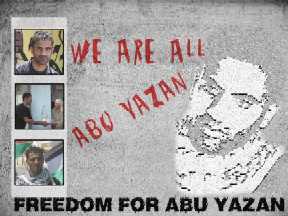 Free Abu Yazan..Free your minds! A Palestinian girl from the craziest yet most unique place, Gaza! I automatically support mass uprisings and revolutions against injustice, oppression and violations of freedom of speech. I come from a family who lived under the rule of Mubarak (Egypt), Hafez El Asad (Syria), Hussein Ben Talal (Jordan), Al Qaddafi (Libya) and now Gaza, so I guess you all understand my obsession in revolutions. I have one BIG enemy, deadlines. And I’m a feminist. Perhaps, as a youth, President Mahmoud Abbas was never told the parable of the boy who cried wolf. I suggest this because the Palestinian Authority leader has with such monotonous regularity brandished the threat to quit his job that he appears to believe it is a vital weapon in the Palestinian diplomatic arsenal. In March Mr Abbas warned the US and Israel that he would walk away from his post if the peace process did not continue. Last December, he extended that threat to include dissolving the Palestinian Authority. He had also made the threat three months earlier, and in May 2008. And so on. But this year Mr Abbas has introduced new variations on the theme, threatening to defy US instructions by forming a unity government with Hamas, and by moving to seek UN recognition of Palestinian statehood, in September. Despite appearances, however, neither of these is a done deal, and Mr Abbas keeps insisting that he’d really rather be negotiating with the Israelis – if only they would offer more credible terms. All these threats express Mr Abbas’s exasperation at the poor return on the two decades he has invested in US-anchored negotiations with Israel. The “you’ll be sorry” subtext of his posturing is never directed at his own people, but always at the US and Israel, to whom he clearly believes his services are indispensable. His message is that if they fail to provide what he needs, they’ll have to face his people without the benefit of him as their accommodating interlocutor. Heaven knows what the Palestinians Mr Abbas is supposedly leading make of this constant threat to quit. He has long adopted his predecessor’s attitude of knowing what’s best for his people, and engaging with the West and Israel on their behalf – but out of earshot. Just as Yasser Arafat made himself, and not the institutions of the PA, the epicentre of Palestinian national political life, so Mr Abbas was encouraged by the Bush administration to do the same, after the Authority’s democratic institutions fell to Hamas in the 2006 Palestinian election. Even now, the hype around Prime Minister Salam Fayyad – appointed at the Bush administration’s behest, rather than being elected – often ignores the fact that he and Mr Abbas have ignored and suppressed the PA’s institutions of democratic decision making. The PA is a competent bureaucracy and security service, entirely dependent on western financial succour. Nor is public dissent tolerated. Hamas, for its part, has found its writ reduced to Gaza, and runs a similarly authoritarian administration – and often appears caught between competing instincts for “resistance” and governance. The PA and Hamas were both somewhat alarmed by the stirrings of popular protest ignited on their turf by the Arab Spring. But when Mr Abbas and Hamas’s Khaled Meshaal agreed seven weeks ago on a reconciliation pact, it seemed an important step on the road towards statehood – as demanded by the grassroots protests. The deal would put a unity government in charge of rebuilding and politically reintegrating Gaza and preparing for new elections. But as the unity process flounders over whether Mr Fayyad will remain in charge of government, some Palestinian analysts suggest that the unity pact itself is now viewed by Mr Abbas in the same way as his threats to quit: as leverage over the US and Israel. With a new flurry of US and European diplomatic activity being aimed at restarting peace talks to head off any UN vote, Mr Abbas may believe his threats are bringing about a more credible peace process. 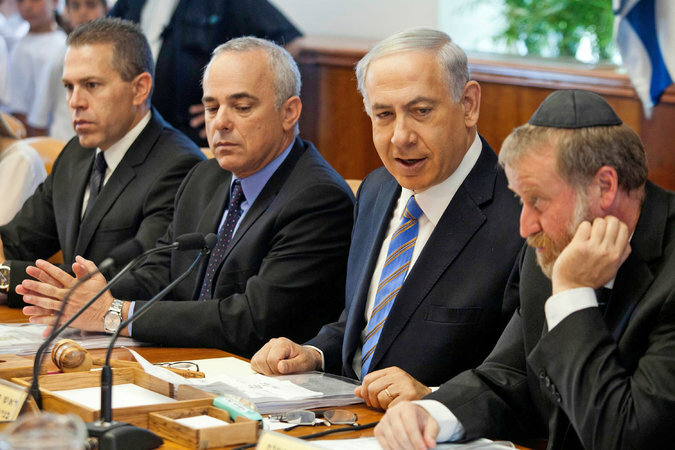 There’s no evidence to support such a belief, of course – Benjamin Netanyahu’s government is the most rejectionist Israel has had since the peace process began, and will offer Mr Abbas less than the Palestinian leader turned down from Ehud Olmert. Nor are there any sane grounds for expecting the Obama administration to press the Israelis to do more. But Mr Abbas has spent the past decade hoping against hope, appearing to see his people’s choices as limited to either the Quixotic madness of a renewed terror campaign (which he has wisely rejected), or passively waiting – metaphorically speaking – in the back seat of the US limo, hoping that the driver ignores the instructions of the more powerful Israeli passenger, and eventually drops him off at a Palestinian state. The less kind explanation would be that money talks: the threat to cut off the western funds on which the PA is wholly dependent may be scaring Mr Abbas into retreat. Either way, Mr Abbas backing away from a unity government could signal a lack of intent to pursue the UN vote. Those who meet with Mr Abbas say his constant refrain about preferring negotiations with the Israelis is heartfelt. That’s because the unity government and the UN route reflect a return to Palestinian reliance on their own energies and efforts, heading down a new and uncharted path of struggle to claim their rights, in the spirit of the courageous risks taken by those of who have risen against despotism across the Arab world. Such a course would take Mr Abbas and his circle out of their comfort zone. Their politics, common to Arab leaders of their generation, reflects a profound lack of confidence in their own people. The danger for Mr Abbas remains, however, that the spirit of the Arab Spring could yet persuade his own people to return the compliment. The extreme rightwing government of Israel is carrying out threats to financially scuttle the Palestinian Authority (PA) for daring to restore national unity with Hamas. Israeli leaders are worried Palestinian national unity will strengthen the overall Palestinian stance vis-à-vis Israel and might expedite international recognition of a prospective Palestinian state. Israel has refused to transfer to PA coffers an estimated $100 million in tax and customs revenue, which Israel collects on the Palestinians’ behalf. Israel receives administration and other fees for collecting the money that the PA government uses to pay salaries for tens of thousands of civil servants. Consequently, the PA has so far not been able to pay salaries for April. This is already generating discontent within the Palestinian community. Some Palestinian political leaders have urged the PA to respond stringently to Israel’s draconian measures by suspending or ending security coordination with Israel. Israel and its guardian ally, the United States, view the continuation of security coordination between Israel and the PA as a sine qua non for the existence and survival of the PA as well as for the continuation of any semblance of peace efforts in the region. However, with a growing feeling among Palestinians, including Fatah supporters, that Israel is effectively blackmailing the Palestinian leadership, some prominent Palestine Liberation Organisation (PLO) leaders and officials have voiced exasperation at the Israeli behaviour. “Look, we are not seeking money from Israel, which murders our children and is occupying our land. We are demanding our own money. So Israel is not really doing any favour to us by transferring these monies,” said Abbas Zaki, a leading Fatah figure in the West Bank. PA Prime Minister Salam Fayyad told reporters in Ramallah this week that the Israeli decision to freeze Palestinian funds was putting the Ramallah government in a very difficult financial situation. A certain solace seems to have come from the European Union, which is less affected by pressure exerted by Jewish lobbies and other pro-Zionist circles in comparison to the United States. The EU reportedly has agreed to grant the PA the sum of $85 million, which would help the Ramallah government pay overdue salaries. However, even this solace is going to be temporary and have a short lasting effect as the same problem will reappear and might even exacerbate next month. This, PA officials say, will necessitate the adoption of political measures that would extricate the PA from a situation where it is tightly held hostage to Israeli whims and blackmailing tactics. “This situation is unacceptable. It could cause a real implosion or explosion. The Europeans, the Americans and all those concerned ought to take note of this,” warned Ghassan Khatib, head of the government’s press office in Ramallah. The Israeli decision has drawn less than angry reactions from the US administration but unreserved support from the excessively pro-Israeli US Congress. Refraining from using strong epithets to denounce the Israeli decision, the US State Department described the withholding of funds from the PA as merely “premature”. “We are looking to see what this reconciliation agreement looks like in practical terms before we make any decisions about future assistance,” Toner added. The Obama administration hinted that the warnings of some members of Congress to cut financial aid to the PA following reconciliation with Hamas would not be constructive. “We understand these concerns, and I would just say, as the new Palestinian government’s formed, we’ll assess it based on its policies and we’ll determine the implications for our assistance,” Toner said, adding that training the Palestinian police force was “worthwhile” as “they are an effective force and they have made significant gains in providing security” for Israel . Israel is adopting a conspicuously opportunistic and hypocritical attitude towards Palestinian reconciliation. Prior to the conclusion of the reconciliation agreement in Cairo last week, Israeli leaders and officials complained that Israel could not make peace with a divided people and that PA Chairman Mahmoud Abbas had only partial authority over his people. Meanwhile, one of the main terms of the reconciliation agreement states that calm with Israel is to be maintained with the consent of all Palestinian factions, including Fatah and Hamas. However, Israel is worried that the inclusion of Hamas into the mainstream Palestinian leadership would radicalise the overall Palestinian stance and thwart Israel’s efforts to wrest far-reaching concessions from the PLO, especially concessions pertaining to such fundamental issues as the refugees and Jerusalem. Peres ignored that fact that Palestinian “terrorism, gunfire and incitement” has, in the overwhelming majority of cases, come as a desperate and less-than-proportionate reaction to far-greater Israeli terrorism, gunfire and provocations. According to a recent UN report, Israel murdered as many as 1300 Palestinian children since 2000. During the same period, less than two or three-dozen Israeli children were killed by Palestinian fire. However, it is important to keep in mind that Peres, a co- engineer of the Oslo Accords, which were vehemently rejected by the Likud Party and its current head, Prime Minister Binyamin Netanyahu, represents a small and diminishing minority in Israel as the bulk of Israeli Jewish society continues to drift towards jingoism and fanaticism. Put simply, Palestinian unity strikes fear in the hearts of Israeli strategists and military planners. A unified Palestinian population in the West Bank and Gaza which adopts nonviolent resistance tactics has the potential to inflict incredible damage on the Israeli occupation. Actually, Israel does not have an effective strategy to combat Palestinian nonviolence and unity. Look at the amount of military resources Israel have used to crush small West Bank villages like Nabi Saleh, which embrace unity and nonviolence against occupation. The agreement signed last night between Fatah and Hamas does not represent unity. The reconciliation agreement represents a move to appease growing popular movements on the streets of Gaza and the West Bank which are demanding real unity, one that might not even involve the PA and Hamas, in order to combat Israeli occupation. At the heart of the problem of unity is the Palestinian Authority. After Israel firmly crushed the nonviolence of the first Intifada, the state employed a tested and true method of colonial control during the peace processes of the 1990’s, the formation of a small and wealthy elite which could act as an arm of the occupation itself. Through the creation of the Palestinian Authority, Israel and the international aid which supports it helped establish an elite class which ruled the Palestinians from inside the occupation. As years of endless negotiations dragged on, it has become clear that the Palestinian Authority is not connected to the people. Given the aid structure and relations with the Israeli government, the PA has remained the sole recognized leadership of the Palestinians in the international community. 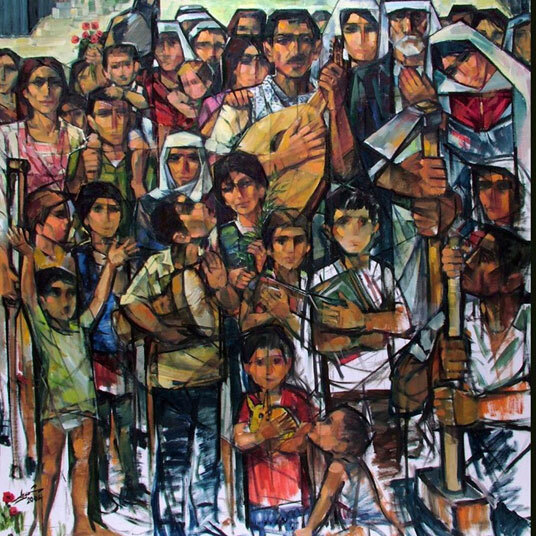 Following the colonial principle of sowing division to stop resistance, which worked well but ultimately failed for the Apartheid South African government, Israel funded various Palestinian groups in the 1980’s that it felt could challenge the PLO‘s legitimacy among Palestinians and undermine support for the PLO. One such group was Hamas. The policy has so far worked for Israel. Over the past five years, there has been a relatively quiet status quo while the government has maintained and expanded its military occupation of Palestinian land. Israeli leaders have also continued to lie to the world about their intentions in the occupied territories with no abandon. The seemingly endless peace negotiations receive media attention while Israeli intransigence goes unpunished by the United States or international community. All of a sudden the Egyptian and Tunisian revolution began to ignite new popular sentiments in Palestine which materialized in a call for national unity. In light of the revolutions and the Palestine Papers, the Palestinian Authority is now franticly trying to maintain what little control they have on the Palestinian street. The reality is that the PA has been mostly discredited by Palestinians as their legitimate representative. It is largely perceived as an instrument of Israeli occupation which does not work in the interest of the Palestinian people in the West Bank, Gaza and the diaspora. That brings us finally to the Fatah-Hamas reconciliation agreement. In solid political reality, the agreement means very little. Elections will not be held in the near future and the types of elections that will take place have not even been laid out. The agreement, however, shows that the voice of Palestinian civil society is heard by the leadership in the West Bank and Gaza. Afraid for its survival in a revolutionary climate, the PA and Hamas are taking pre-emptive measure to co-opt popular sentiment to ensure their continued governance. There are so many factors in the air—Palestinian statehood, increasing international isolation of Israel, continued revolution in Syria—which make this reconciliation agreement meaningless because of its lack of concrete action. Therefore, it is reckless to project how Israel will interact with a unified Palestinian leadership because the likelihood of one is small. We ought to think about what Palestinian unity and nonviolence means for Israel, her occupation and international standing. Israel, the PA and Hamas are all scared of the revolutionary sentiment brewing on the Palestinian street. This unity agreement does not address that sentiment. If you value these reports, Support Joseph Dana! Joseph Dana is a writer based in Tel Aviv and Ramallah. His coverage of the Israeli-Palestinian conflict focuses on the Palestinian unarmed resistance movements throughout the West Bank and the impact of Israel’s occupation on Palestinian life. As an activist and fellow Blogger for justice, humanity in Israel/Palestine and the diaspora, I hereby appeal to my readers and supporters to help Joseph Dana on his fundraiser to keep his website online. Unfatigued he stands up in very early mornings to cover protests in the West Bank or Tel Aviv, while delivering many valuable insights live from the ground to his readers, his fellow tweeps and solidarity activists online to keep them posted about the actual situation and the events. Accompanied with fantastic photos his website presents reports from ‘on the ground’ struggles. His website is made possible with our and your support. If you value the efforts, the information and essays he writes, please take a moment to contribute what you can. He is in the middle of a month long fund raising campaign to raise 3000$. So now is the time to help with what you can and keep this site alive! Visit Joseph Dana’s Website … a donation, even small ones will be highly appreciated and together we can keep his reporting online! Image is by Mahmoud Al Tamimi, 11. 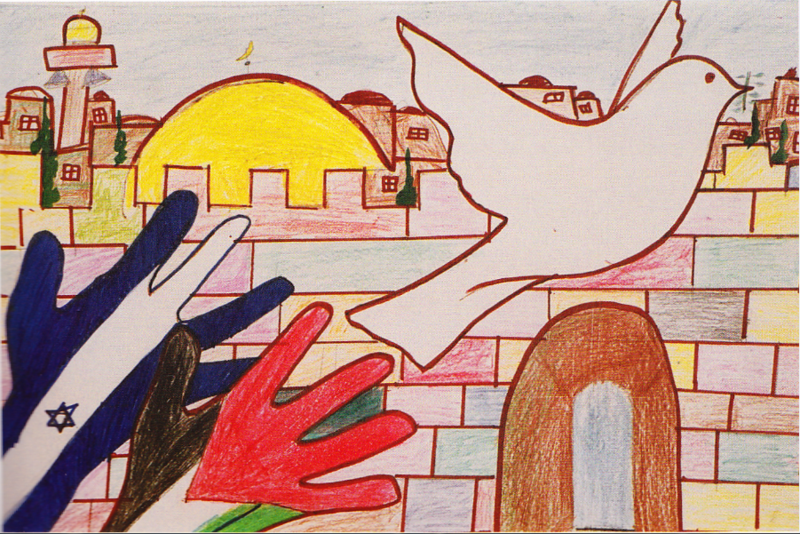 ‘’Art for Peace’’ project for Jerusalem children in Jerusalem. The mere thought of Hamas and Fatah finally burying the hatchet has caused sleepless nights for the zioright in Israel. The possibility of a unified Palestine, leading to an end to the Occupation has been their biggest nightmare since the creation of the state of Israel. Fear of Peace … or is it the fear of losing the 3.5 BILLION Dollar$ a year which the American taxpayer unwillingly GIVES to Israel is great cause for alarm. What if there no longer is an ‘enemy’? What if a United Palestine achieves the Statehood they have been waiting for since 1948? 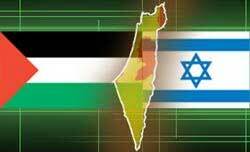 For sure, unity will lead to statehood, statehood will lead to the end of the occupation, BOTH will lead to Peace. Can Israel live with these results? According to THIS article in the more moderate Daily Forward, White House: Palestinian Unity Government Must Renounce Terror, Accept Israel …. What about Israel renouncing terror and accepting Palestine? Why has this become a one sided issue as far as the Obama Administration is concerned? Israel’s Left Wing Haretz raises a completly different viewpoint …. Israel can redeem itself by recognizing a Palestinian state, It can be read HERE. ANOTHER REPORT from HaAretz raises Netanyahu’s concerns… Netanyahu presses for U.S. action over Fatah-Hamas dealCan you imagine a war free zone in the Middle East? Can you imagine an Israel and a Palestine acting as good neighbours, both recognising each other’s ‘place in the sun’? PEACE WILL NOT BE SILENCED BY FEAR! OR BY THE OBAMA ADMINISTRATION!! 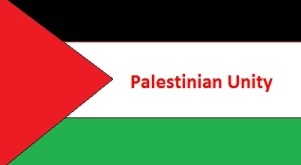 Hopes of seeing Palestinian Unity have reached a new level this week as can be seen in the following reports…..
Needless to say, the zionists are downplaying the situation…. BUT ….. the most interesting views come from the ‘Good Ole USA’ ….. If they don’t like it, I LOVE IT! House Foreign Affairs Chairwoman Ileana Ros-Lehtinen released a statement saying that, “The reported agreement between Fatah and Hamas means that a Foreign Terrorist Organization which has called for the destruction of Israel will be part of the Palestinian Authority government. US taxpayer funds should not and must not be used to support those who threaten US security, our interests, and our vital ally, Israel. How quickly they forget … does anyone remember the name Jonathan Pollard? WASHINGTON – Senior congressmen said Thursday that if the Palestinian Authority follows through on its intention to reconcile with Hamas, the move may jeopardize the United States’ aid to the Palestinians, and perhaps even bring it to a halt. The United States Foreign Assistance Act names stipulations for such aid, which the Palestinian Authority – if it forms a government with Hamas – will fail to meet. The US considers Hamas a terror organization, and naturally, will halt any funds which may fund their way to it. “According to existing US law, such a hybrid government cannot be a recipient of US taxpayer funds because the law stipulates that the PA government must recognize the Jewish state of Israel’s right to exist, among other things. “By entering into this partnership with Hamas, Abu Mazen’s Palestinian leadership has shown again that it is not a partner for peace. If reports are correct, the PA would then be standing with those who want only death and destruction for Israel,” Ros-Lehtinen’s statement said. Congressman Gary Ackerman, the top Democrat on the House Subcommittee on the Middle East and South Asia, echoed the sentiment: “The purported deal, which does not require Hamas to accept Israel’s right to exist, or the binding nature of prior Palestinian commitments, or even to require Hamas to temporarily forgo violence against Israel… is a recipe for failure, mixed with violence, leading to disaster. It is a ghastly mistake that I fear will be paid for in the lives of innocent Israelis. “Rather than seizing the dynamic of this amazing Arab Spring to simply push for national elections and constitutional reform, the leadership of the Palestinian Authority has once again naively decided to test the trustworthiness of a bloody-handed bunch of terrorist want-to-be theocrats. “While this step may be popular among Palestinians, many of whom wish to preserve the fantasy that they can have peace and so-called ‘resistance’ (also known in English as terrorism). As in prior cases, the United States will be compelled by both law and decency to withhold any assistance that could fall into the hands or control or even partial control of anyone reporting to, or belonging to a terrorist entity, as is Hamas,” said a statement by Ackerman. See THIS report for a more realistic view of the situation…. 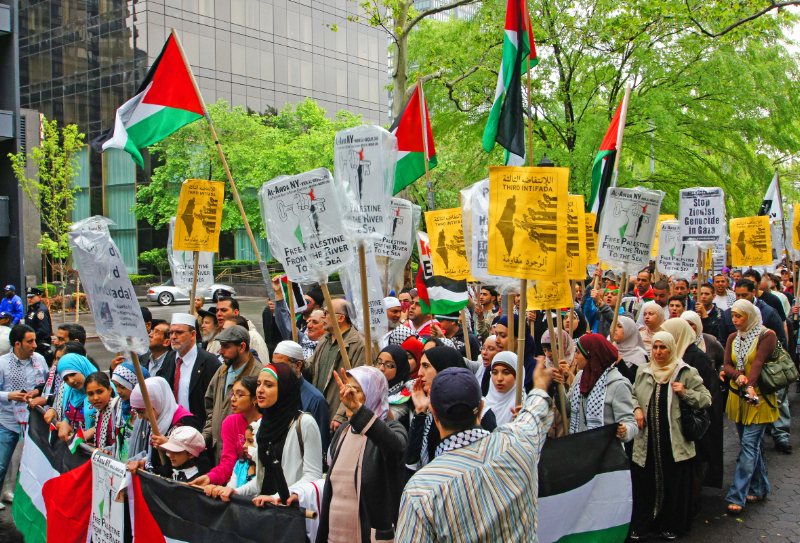 Forging Palestinian unity is regarded as crucial to reviving any prospect for an independent Palestinian state, but Western powers have always refused to deal with Hamas because of its refusal to recognize Israel and renounce violence. Fatah, which is kept alive by American money and Israeli tolerance, thinks that by joining the international Zionist-led campaign against Iran, it will obtain a certificate of good conduct from Israel, the US as well as from the many American puppet regimes in the Arab world. Trying to justify its manifest moral and political bankruptcy, the Fatah movement, under PA leader Mahmoud Abbas, is trying to use the so-called Iran bogey to justify its effective surrender to the Zionist regime. In recent weeks, the Fatah leadership even began currying favor with some anti-Iranian regional groups, suggesting that resisting the so-called Iranian expansionism was more important than resisting Israeli Nazism. In fact, the bulk of some of Fatah’s propaganda activities has centered on “highlighting” the Iranian danger and only secondarily on saving Jerusalem and occupied Palestinian land from the claws of Zionist ghoul. I have no doubts that Zionist money and intelligence are behind those who are trying to tell the Palestinians, Arabs and Muslims that their real enemy is Iran, not the Zionist regime whose nuclear warheads are being trained toward Muslim countries. Listening to some of the Fatah propaganda of late, one would get the impression that it is the Iranians, not the Zionist regime, that is trying to demolish the Aqsa Mosque, destroy homes in Jerusalem, build more colonies in the West Bank and carry out more wars and massacres in the Gaza Strip. This misplaced fixation on Iran surfaces and resurfaces every time Israel is facing a difficult situation at the international arena. Hence, it is probably no co-incidence that Israel’s Arab or “Muslim” agents hasten to help their ultimate master, the Venomous Zionist viper, every time it finds itself in a stressful situation. Earlier this week, PA leader Mahmoud Abbas blamed Iran for undermining the Palestinian reconciliation efforts. He also said that Iran was preventing Hamas from getting involved in that failed “peace” process, which looks more like a game of make believe than a genuine peace-making process based on justice and ending the Nazi-like Israeli occupation of Palestinian land. To begin with, Abbas’s claim that Hamas is coming under Iranian influence has no sliver of truth or credibility. It is probably a kind of unconscious projection uttered inadvertently by Abbas, who is completely and absolutely at America’s beck and call, so much so that he is willing to accept anything imposed by the United States . Well. What is anything imposed by the US supposed to mean? Doesn’t Abbas realize that the US is fully against the right of return for Palestinian refugees, which is the crux of the matter of the conflict? Doesn’t he realize that the American policy in this part of the world is more or less the Israeli policy? Doesn’t he realize that it is the US and US alone that enabled Israel to have its way in occupied Palestine, and build hundreds of Jewish colonies on occupied land, with impunity? Besides, what is Hamas, the democratically-elected movement, supposed to do to prove to Abbas and his minions and hangers-on its good will and sincerity in seeking just peace for Palestinians.? Must Hamas recognize Israel as a state for the Jews, by the Jews, and of the Jews, as Israel is constantly demanding, thus effectively acknowledging the legitimacy of Israel’s “right” to ethnically cleanse the estimated two million- strong Palestinians who are Israeli citizens? Must Hamas give up on the right of return for the refugees for the sake of Hillary Clinton’s blue eyes? Must Hamas give its full consent and blessing to the daily criminal acts by Jewish settlers against Palestinians and their property? Must Hamas sing the ha’tekva, (the Israeli national anthem) in order to find acceptance in Ramallah and Tel Aviv and Washington? The truth of the matter is that Hamas’s principled stance has very little or nothing to do with the Iranian policy. Moreover, it has nothing to do with any real or imagined Shiite “conspiracy” to overrun the Sunni Middle East whose various despotic, tyrannical and dynastic fiefdoms are more or less completely controlled by the United States which is itself controlled tightly by Israel. In light, one is prompted to ask Abbas and the likes of Abbas if he thinks that one can’t and shouldn’t adopt patriotic and dignified positions vis-à-vis Israeli Nazism unless one is subservient to Iran? 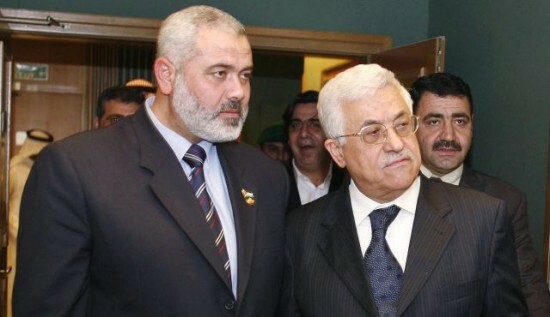 In truth, there is a vast difference between the bribery money the US is giving to Abbas and his unelected Ramallah regime and whatever assistance given to Hamas by the Muslims of the world, governments and individuals. America (and Europe) is giving the PA money in order to torment, savage and subjugate the Palestinian people on Israel’s behalf. 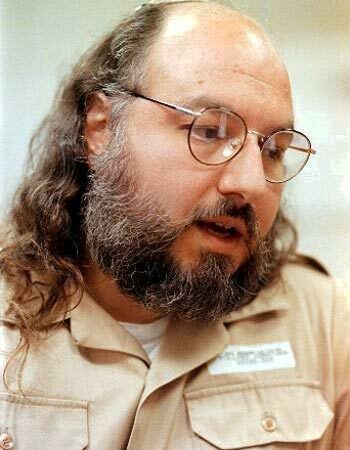 America’s money is used to enable the PA to torture and even kill political detainees. Ultimately, America’s money is used to subdue and coerce the Palestinian people to sell out their inalienable rights such as the right of return. On the other hand, the non-Political assistance coming from Muslim sources, including Iran, is used to enhance and enforce the Palestinians’ steadfastness and resilience in the face of Israel’s Nazi-like crimes, such as the enduring siege of Gaza and the murderous onslaught against the coastal enclave whose second anniversary occurs next month. I think that in alienating Iran and jumping onto the American-Israeli bandwagon, Fatah is committing a huge historic blunder. Sometime playing the opportunism card might work, but in this particular context, doing so, and by a movement that claims to be the leader of the Palestinian struggle for freedom and independence, spells shortsightedness, indignity and political stupidity. Moreover, Fatah should realize that Israel is very much like a vicious crocodile, the more meat you feed it, the more it demands. Last week, Israel decided to bar two of the most arguably “moderate” Fatah leaders, Muhammed Dahlan and Ahemd Qrei’, from traveling to Jordan via the Allenby Bridge. Israel had poured wholesome praise on the two, using grand epithets to describe them. But the moment one of them made a slip of the tongue about Israeli criminality, Israel showed him “the red eye,” telling him effectively that Israel’s friends must completely and absolutely surrender to “the chosen people” or “Master race.” Not a minute deviation from the script would be tolerated!! Some of these “moderates” did huge services for Israel. At one point they were willing to flood Gaza with the blood of Hamas. They were willing to decapitate Hamas once and for all. Some of them distributed sweets and Kenafa when Israel was raining death on the Gaza children. And what they promised to do in secret, on behalf of Israel and the US , may have been even more shocking. Yet Israel is treating them like diseased dogs. Such is the fate of those who don’t respect themselves and their people. The United States and to a lesser extent Europe never stop praising the Ramallah-based Palestinian Authority (PA) regime. Indeed, upon hearing the never-ending commendations of the Ramallah Junta, one would think that “the police-state without a state” is a paragon of good governance, democracy and all that is good. However, the shocking truth is that the Ramallah regime is none of that. It is rather a police state apparatus whose main function is mainly confined to persecuting and tormenting Palestinian citizens deemed “non-conformist.” And as we all understand, this repression is done on Israel’s behalf and in order to obtain a certificate of good conduct from the evil occupiers. In the message, Abdul Jawad, an honest man of unquestionable credentials, pointed out that a poor woman whose husband had been fired from the local Police apparatus because he looked too religious (for frequenting the mosques for prayer) applied for the petty job of selling falafel at the local girls’ school. The school’s principal agreed, but demanded that the woman receive a “security clearance” from three agencies: The police, the Preventive Security, and the Mukhabarat or General Intelligence. The unsuspecting woman applied for a “certificate of good conduct” thinking that the matter was only routine and procedural in nature and that she had nothing to worry about anyway, given her clean record. A few days later, however, she was summoned for an “interview’ at the Mukhabarat’s regional headquarters in Salfit. There, she was told that she couldn’t obtain a certificate of good conduct since she had voted for an Islamic-oriented candidate in the 2006 elections. She argued that selling Falafel had nothing to do with her political preferences and that she had an absolute right to obtain a certificate of good conduct in order to find a job and be able to support her family. So after selling Falafel for a trial period for 21 days at the local school, she had to leave her short-lasting job which she did on 28 September. It was not clear if the Mukhabarat apparatus asked the woman to “work” with them as an informer. The various security agencies have consistently taken advantage of the Palestinian people’s severe economic condition to recruit thousands of people all over the West Bank to work as “mandoobeen” or agents to inform on people who might criticize the PA or show signs of opposition to the Ramallah junta. Hence, every conceivable institution in the West Bank, including schools, colleges, and hospitals, has been thoroughly implanted with informers. Just imagine a situation where a school teacher is made to spy on his colleagues, or an office clerk is made to inform on his or her fellow clerk. Imagine college professors and lecturers always worried that one of their students or even colleagues might inform on them to the security agencies in case they said something that might be interpreted “differently” during their lectures. Like his wife, the former policeman reportedly was accused of having voted for a candidate affiliated with the “wrong” political party in 2006. Eventually, he was fired from his job because, according to the police, “he didn’t enjoy good reputation.” To add insult to injury, the now unemployed and impoverished former policeman is yet to receive his benefits from the police where he worked for ten years. More to the point, if selling falafel sandwiches at a girls’ school in the heart of the Palestinian countryside requires all these KGB-style calculations, including summoning dignified housewives to the offices of the security agencies, just imagine how the “procedure” of appointing high-ranking civil servants would look like. In short, the problem under this hateful regime goes far beyond the dismissal of thousands of civil servants, including teachers, doctors, and engineers from their jobs because of their political views or association with the “wrong people”, but also include the sullen hostility shown toward hundreds of thousands of Palestinians who are suspected of supporting Hamas and other Islamic organizations. I know for sure that Hamas didn’t enjoy the so-called “victory” over Fatah three years ago. In the final analysis, a victory against one’s brother and countryman is not a real victory; it was rather a real defeat for both Hamas and Fatah and the entire Palestinian people and its just cause. There are portents of reconciliation in the air, and Palestinians and their friends and allies are quite optimistic that Fatah and Hamas may finally be on their way to close one of the saddest chapters in our recent history. Needless to say, the national rift which emanated from manifestly treacherous efforts by American-backed elements within the Fatah movement to effectively undo the outcome of the 2006 elections, which Hamas won decisively, wreaked havoc on the Palestinian cause and thoroughly poisoned inter-Palestinian relations to an extent never seen before. We all know how the former Bush administration utilized the bribable and buyable elements within Fatah to carry out a bloody coup aimed at decapitating Hamas once and for all in the Gaza Strip. Which eventually forced Hamas to do what it did in July, 2007? Likewise, and looking retrospectively, one might safely claim that had the Fatah leadership refused American and Israeli solicitations and incitement, the Palestinian arena would have been spared the hateful ramifications of the rift. None the less, what could Hamas have done, watching treacherous elements, enjoying Israeli and American backing, sharpen their swords and daggers, and preparing their guns to gang up on Hamas in order to consign the movement into oblivion. The ensuing propaganda war on Hamas effectively turned the white into black and the big lie into a “truth” glorified by many. Hamas was caricatured as the main party under the sun that impeded the achievement of peace in the Middle East. Zionist spin doctors would disseminate their poisoned lies in Europe and North America, claiming that if only Hamas didn’t exist, Israel and Fatah would make peace in a matter of a few weeks. The lies continue unabated and are unlikely to subside soon. After all, mendacity has always been a key component of the American-Israeli discourse toward the Palestinians. Unfortunately, Fatah and bankrupt Arab regimes played an effective role in disseminating these lies as international Zionism was using Hamas as a sort of a red herring to justify murderous Israeli hegemony and criminality against the Palestinian people. It is somewhat reassuring that many people within Fatah have realized, though belatedly, that America and Israel and their monies and nice words will not advance the Palestinian cause even one millimeter. The opposite is true. Fatah, or more correctly the Fatah leadership, has done every conceivable act of treachery in order to obtain a certificate of good conduct from American and Israel. Fatah detained and imprisoned Palestinians by the thousands. Fatah tortured and killed and humiliated Palestinians, with Fatah security leaders going as far as assuring their Israeli “counterparts” that Israel was no longer the enemy and that the real enemy was Hamas. Fortunately, the Fatah leaders in Ramalalh have discovered before it is too late that no mater how deep they sink in the sea of treason, and how virulently anti-Hamas their general discourse becomes, America and Israel will not give them a state or even a semi-state. After all, both Israel and the US don’t really seek peace partners but seek collaborators and slaves and puppets. None the less, the Palestinian people must learn the necessary lessons from what happened. This is because we are bound to repeat the same blunders over and over again, including the bloody mistakes, if we fail to draw the necessary lessons from the dark periods that followed the 2006 elections. To begin with, and while we should refrain as much as possible from finger-pointing and futile mutual recriminations, the Palestinian people need to create a commission of truth, not to malign and criminalize those responsible for what happened, but rather in order to establish the truth. Know the Truth, for the truth shall set you free. The Palestinian people have the right to know what was happening during these secret meetings between American and Israeli officials on the one hand, and Fatah officials on the other hand. The Palestinian people need to know the amount of coordination against Hamas involving Fatah, especially with regard to the perpetuation of the criminal siege on the Gaza Strip as well as the Nazi-like Israeli onslaught against the coastal enclave nearly two years ago which destroyed much of the Strip and killed or caused the death of thousands of innocent people. I know that “explosive chapters” ought to remain closed and unhealed wounds must be given more time to heal. However, it is also important not to decapitate the truth in the name of national reconciliation. Again, the purpose of a grand commission of truth, whose members would have to be carefully chosen from among the crème de la crème of the Palestinian intellectuals, people with high rectitude and sense of justice, wouldn’t be to erect a Guillotine in the streets of the West Bank and Gaza to execute the guilty. The purpose of such a commission would be to establish the truth, nothing more and nothing less. More over, while we can’t bring those who were unjustly killed back to life, we are supposed to be able to give justice, as much as possible, to those unjustifiably wronged by both sides. Blood money is an effective mechanism stipulated by the Islamic Sharia whereby people wrongly killed or injured can receive monetary compensation. The compensation itself will not revive the dead, but it does help their families lead a dignified life and above all gives them a feeling that at least a semblance of justice has finally been done. In the final analysis, God will be the ultimate judge, and whoever escapes justice in this world will not escape justice in the hereafter. Another point which must be carefully discussed and resolved in order to give national reconciliation a real meaning. Following Hamas’s military intervention in Gaza in the summer of 2007, the Fatah authority in the West Bank carried out a real inquisition whose purpose was to eradicate Hamas as much as possible. All Islamic social, religious, educational, athletic, medical, and youth institutions were systematically closed or seized by Fatah. The draconian measures must be reversed if national reconciliation is to take root and be irreversible. Second, thousands of people, suspected of affiliation with Hamas, have been summarily dismissed from their jobs. These wronged people must be reinstated in their previous jobs immediately. Finally, the police-state structure, now permeating throughout the West Bank, must be immediately terminated, because there can be no genuine national reconciliation in the shadow of police brutality and suppression of human rights and civil liberties. In short, the Palestinian people want and need a real national reconciliation, not a short-lasting truce. In Ramallah, the seat of the police state without state, known as the Palestinian Authority, or PA, respectable public figures have been assaulted and beaten without any justification. What kind of government would allow ignoramuses and school dropouts to beat and mistreat professors, doctors, engineers and civic leaders, the crème de la crème of society? To be sure the arrests are only one aspect of PA repression of its citizens. According to human rights organizations, thousands of teachers and civil servants have been summarily and un-apologetically fired from their jobs for no reason other than having a relative who happens to be an affiliate of Hamas. If this is not fascism, what is fascism then? The American-backed, Israeli-tolerated Palestinian Authority has been unmasking its ugly face. In recent days and weeks, ruthless and undisciplined Security forces have been suppressing public dissent, especially opposition to futile talks with Israel. Such talks are looked upon by most Palestinians as a clear surrender to Israeli whims and dictates. In the West Bank, the Mukhabarat or intelligence Personnel, have been harassing and even beating opposition figures. Clearly undemocratic, even barbaric methods, have been used to intimidate, harass and even terrorize civic leaders and public figures who dared to voice their opposition to the PA decision to unconditionally join so-called peace talks with Israel even though the apartheid Israeli regime continues to vehemently refuse to freeze settlement expansion and stop the ongoing aggressive Judaization in East Jerusalem. Understandably, this repressive behavior represents a serious retreat from the rule of law the PA has been claiming it wants to establish. In fact, what the Palestinian people have seen in recent days and weeks is that the PA is upholding the law of the truncheon, rather than the rule of law. Needless to say, an authority that beats civic leaders and public figures, some of whom spent the prime of their lives in Israeli jails, dungeons, and detention camps, is neither national nor respectable. On the contrary, it is anti-national as its general behavior is decidedly incompatible with fundamental national dignity. We have seen some PA officials and spokespersons deny the obvious, namely the indulgence of security personnel in acts of repression. However, it is sad that lying to the public has by and large become a modus operandi for PA spokespersons whose spasmodic discourse tells much about their way of thinking. Unfortunately, lies, even brash, unsophisticated lies, are not only uttered by manifestly ignorant security figures, who continue to indulge in every conceivable violation of the law with total impunity. These lies are often echoed and reiterated by high-ranking officials, such as the President of the PA Mahmoud Abbas and his unelected and controversial Prime Minister Salam Fayyadh. For example, both routinely claim that the PA doesn’t detain people because of their ideological and political convictions. Needless to say, these claims are not true because innocent people are being arrested on a daily basis because of their ideological and political convictions. None the less, the insistence on lying by people who are supposed to set an example of virtue and honesty to their people shows that these leaders either lie knowingly, since it is unlikely that they are unaware of what is going on. Or that they don’t know what is going on, which is a greater calamity. Recent days and weeks saw PA security forces storm and desecrate several mosques in the West Bank. The manner in which these mosques were stormed infuriated ordinary, un-politicized citizens who are not affiliated with any political orientation, which really generates a lot of disdain and anger toward the Fatah organization and its authority. We all know that prior to the establishment of the PA regime in the early 1990s, Israeli soldiers and officers were often reluctant to enter mosques with their boots on. Hence, the disgusting behavior of PA “soldiers” should be severely condemned by all free-minded Palestinians. Besides, the sweeping arrests of young Islamist activists, who do very little if any besides observing their religious duties, remains a stigma of shame incriminating, even criminalizing, PA treatment of its own people. There is no moral or legal justification for the recurrent arrest and maltreatment of people because of their political views. The Palestinian law, which the PA government claims to uphold, says so. Cynically, the PA continues to invoke the so-called “Gaza coup” to justify and extenuate the gravity of its own crimes against its own people. However, while the Gaza government, which was democratically elected by the people, is not without mistakes, it is sufficiently obvious that there is no real comparison between what is happening here in the West Bank and what is happening there in the Gaza Strip. Here, there is a systematic persecution bordering on an inquisition. What else can be said about the illegal and illegitimate incarceration of thousands of innocent people on no grounds other than the fact that they are religious and supportive of an Islamic political party, Hamas, that won the elections in 2006. Interestingly, this blind disregard for the rule of law takes place while the PA is continuing rather shamelessly to invoke national unity by urging Hamas to sign a worthless Egyptian document that would perpetuate fascism and tyranny. Needless to say, Hamas must never ever accept such an arrangement. In the final analysis, the Palestinians have not been struggling for ages to finally settle for a police state without a state which is what the PA is all about!! More to the point, we all know deep in our hearts that the main motive behind this stupid and barbarian inquisition (barbarian because several people have died under torture in PA custody), has more to do with a sick desire on the part of the PA to obtain a certificate of good conduct from Israel and the US government, especially the American general Keith Dayton who runs the PA security apparatus, than with any legitimate security concerns. Finally, it is crystal clear that no matter how savagely and brutally the PA treats its own people, especially the political opposition, the thuggish Israeli government would never grant the PA any real award, probably apart from allowing PA officials to walk through Israeli checkpoints and roadblocks. Israel, as we all know, treats the PA as a beggar or quisling entity, and neither the beggars nor the quislings can be choosers, even if they claim sovereignty and dignity. 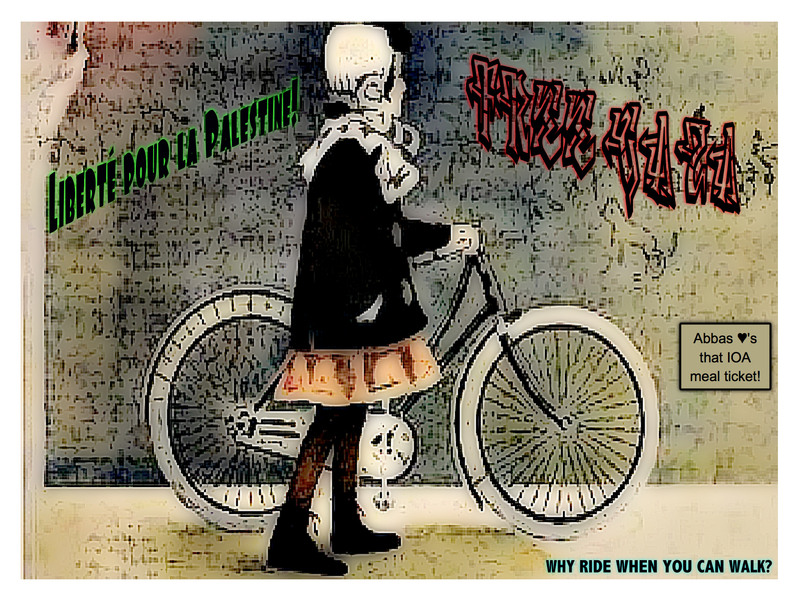 There are those who argue that savaging the Palestinians is a sin-qua-non for the PA. This argument shouldn’t be dismissed easily. There are real fears among Palestinians that the PA security forces would be eventually used to suppress any opposition to any unacceptable deal with Israel, a deal that would liquidate the Palestinian cause. Some say this is the raison d’etre of the PA security forces. 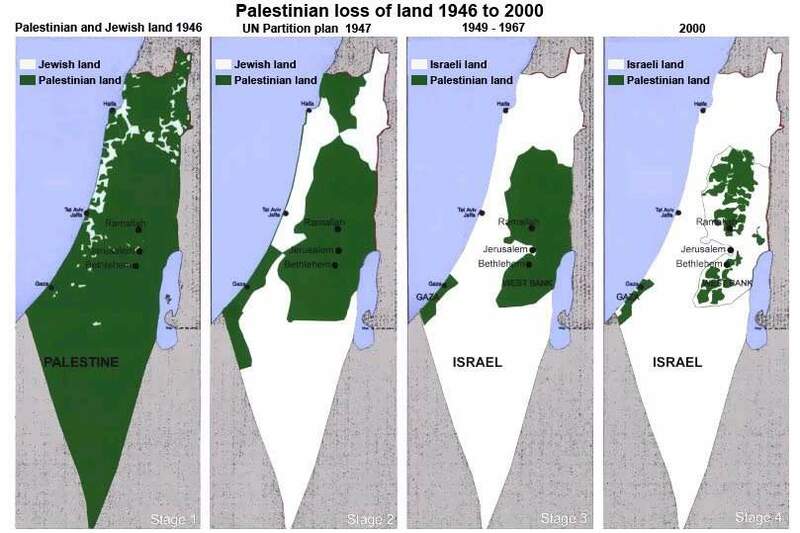 This is the real looming danger that all free and dignified Palestinians must be vigilant about.